As many of you know, our Gary loved, loved music. He also loved being creative with music in the classroom. 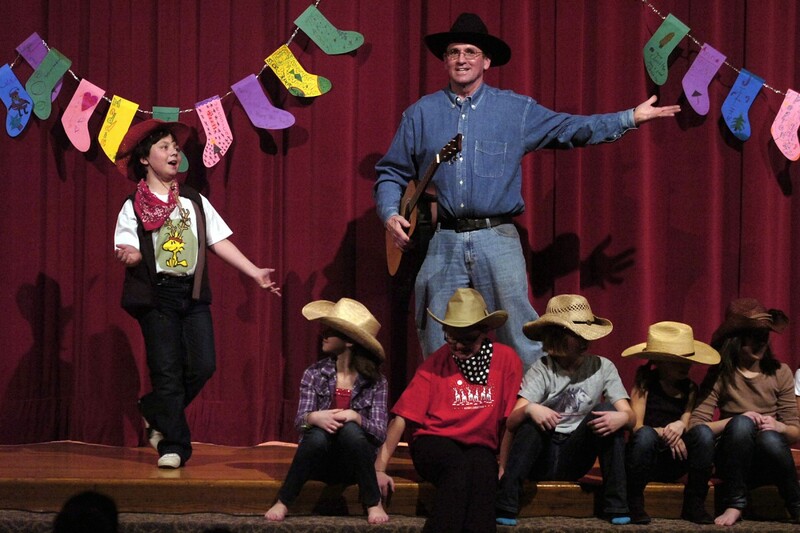 For example, he might ask students to write stories based on the lyrics of a song or associate songs in class that had the current week’s spelling words in their titles or lyrics. 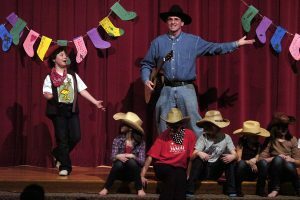 All of these creative efforts helped his students explore music in ways they had never done before and made learning a more enjoyable, lasting and positive experience. Although Gary himself was tone- and rhythmically-challenged (you really should of heard his rendition of Katy Perry’s “Firework”, which literally would blast you out of hearing distance! ), he really embraced music, as well as all of the fine arts. He encouraged his artistically-inclined students to pursue their talents by introducing them to related books/literature, giving them access to resources (many times paid for out of his own pocket) and, most importantly, being their biggest supporter in whatever artistic endeavor they chose to pursue. One of the recipients of Gary’s artistic encouragement was Chad Clifford, lead singer/guitarist for the locally renowned Crawpuppies and owner of Front Porch Music in Valparaiso. Gary was Chad’s 5th grade teacher at Hayes Leonard Elementary School (back in the day, won’t say which year, Chad), and when most of the kids in his class were into sports during recess, Chad’s focus was elsewhere. Gary and Chad discovered that they were both Beatles fans, and Gary suggested that instead of going outside for recess every day with the rest of the kids, he trusted Chad to spend his recess time in the music room, where he would practice the drums. 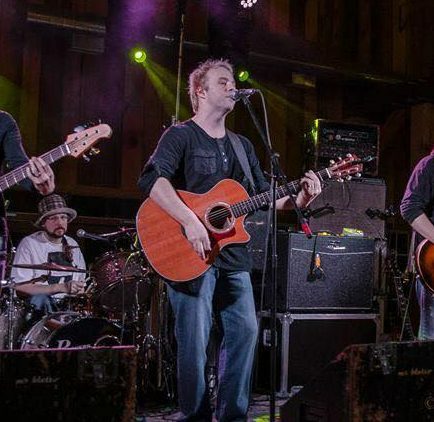 Gary even gave Chad his first “rock star moment” when he lined up his classmates outside of the music room after recess and had them shout, “Chad! Chad! Chad!” as he exited the room. As Chad says to this day, Gary had a profound impact on his career path early in life. That impact has come full circle as Chad now helps lead, together with Cooks Corners Elementary music teacher extraordinaire, Karen Zappia, our newly created Gary Webster Young Musicians Scholarship program at Cooks Corners Elementary School. 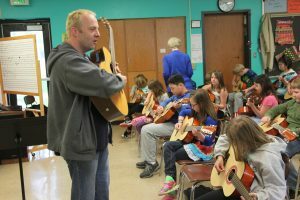 Funded by proceeds from Gary’s estate, 24 new guitars were purchased for the program, which allows all CC 4th and 5th grade students the opportunity to learn a few basics about guitars and guitar playing. During one week, two classes are conducted by Chad with all students learning simple guitar essentials, such as how to hold a guitar, string notes (EADGBE), finger placement on frets, simple chords, etc. After the classes are over, students have the opportunity to apply for two scholarships that will allow them to take guitar lessons at Front Porch Music for several months. The students will be selected by a committee of teachers from Cooks Corners. The whole purpose of the program is to expose students to music in a way that they might not get to otherwise. Gary would have loved this program, as everyone gets a chance to participate with hands on experience. Many of these children have never picked up a guitar before, and who knows? This experience might help set the next Chad Clifford onto a career in music. Right now the program is in it’s infant stages, but we hope to expand it next year to at least one more school, with perhaps more schools after that in years to follow. We also hope to expand funding in the future with donations, as Gary’s estate proceeds for the Young Musicians Scholarship are finite. Please contact us if you think you might be interested in helping fund this program in the near future. Our plan is to set up a fund through the Porter County Community Foundation so that all donations will be tax deductible.